Almost immediately after Meghan Markle and Prince Harry announced their engagement, fashion lovers and royal watchers had one question on their minds: Who will design Meghan Markle’s wedding dress? While we likely won’t see the gown until the big day (May 19th, that is), we have quite a few hints as to what it might look like. According to royal reporter Omid Scobie, Markle picked her wedding dress designer in January with the help of her friend, bridal stylist Jessica Mulroney. “Meghan flew in her close friend and bridal stylist Jessica Mulroney from Toronto to London last weekend where she attended a top-secret fitting at Kensington Palace with the designer,” Scobie told Good Morning America in January. 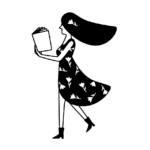 Designer Roland Mouret, who has been a longtime friend of Markle, is believed by some to be the designer of the dress. “Mmmmm, I don’t want to say. No comment. It’s … there is no comment on that. She’s a friend. And that’s … I can’t say,” Mouret told WWD when asked if he would be creating Markle’s bridal gown. Tight-lipped, huh? While many are betting on Mouret, bookmakers say the odds are in favor of a different designer—so much so that they’ve suspended betting. After a “flurry of activity” that brought the odds of Markle wearing Alexander McQueen down from 16/1 to 8/1 in a very short period of time Tuesday morning, bookies suspended betting, believing that the private information may have been leaked. 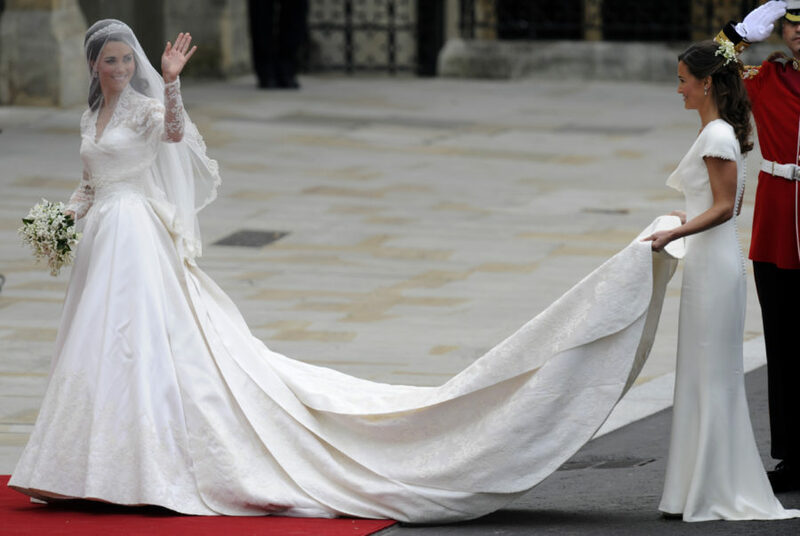 Royal fans will remember that Alexander McQueen is also the designer of Kate Middleton’s gorgeous lace wedding gown, so the brand is certainly royal-approved. Markle has worn the designer since announcing her engagement to Prince Harry, most recently opting for a McQueen suit at the Endeavour Fund Awards. Less recently, reports surfaced that hinted Markle may be opting for an out-of-the-box brand. 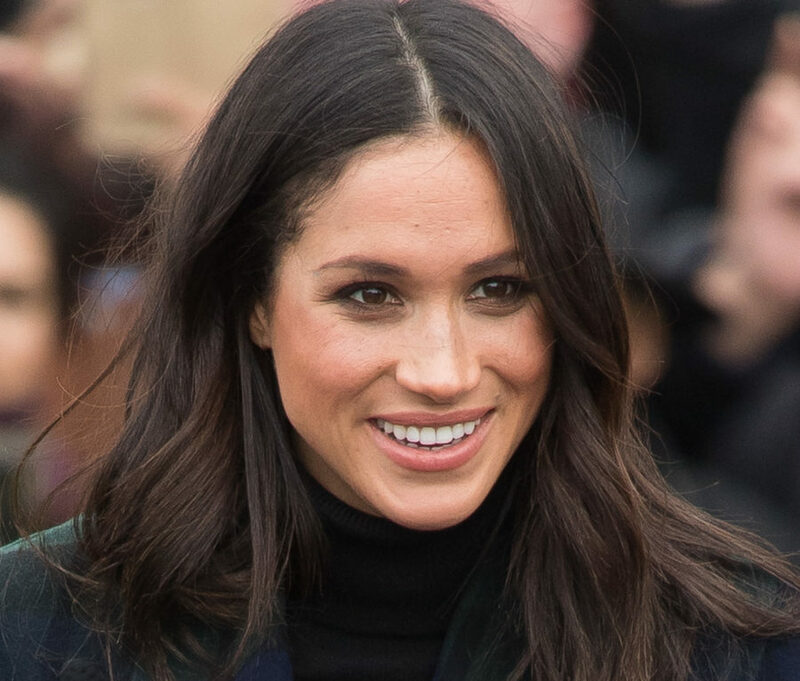 In December, Israel-based designer Inbal Dror confirmed to People that they sent a sketch for Markle to consider at the request of Kensington Palace. Dror, known for its sheer, plunging, and embellished creations, would certainly be an interesting choice for Markle, who is said to be looking for a “simple” dress. In fact, before she was a soon-to-be royal, the Suits actress described her ideal wedding dress, and a very famous bride once wore it. “Classic and simple is the name of the game, perhaps with a modern twist. I personally prefer wedding dresses that are whimsical or subtly romantic,” she told Glamour. 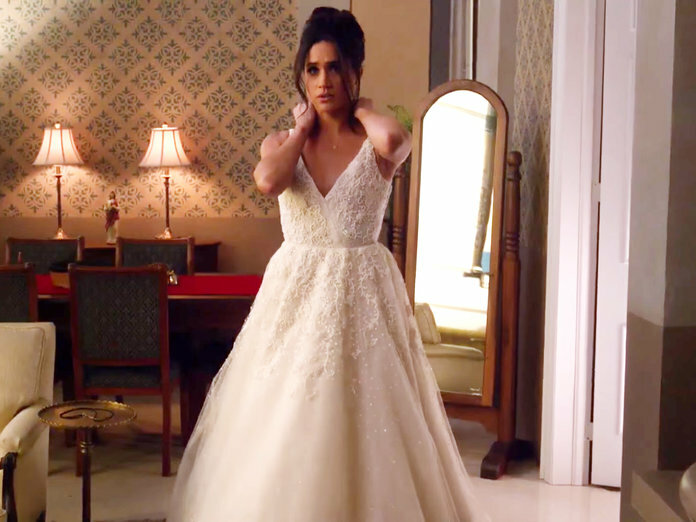 Fans have already seen Markle in a wedding dress, most recently on the Season 3 finale of Suits in 2016, when she wore a “classic and fairy tale” Anne Barge gown. We’ll be keeping our eyes peeled to see what designer the future royal chooses on her big day.